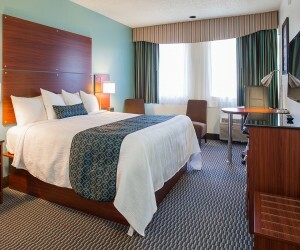 The Accessible 2 Double Beds Room at the Hotel Mira Vista near Berkeley can accommodate up to 4 guests. 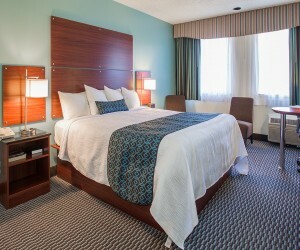 The non-smoking 2 Double Beds Room is spacious and full of a variety of amenities including complimentary breakfast, free Wi-Fi, refrigerator, microwave, hairdryer, iron/ironing board, coffee maker, work desk, full bath, air conditioning, heater, alarm clock, and sitting area. 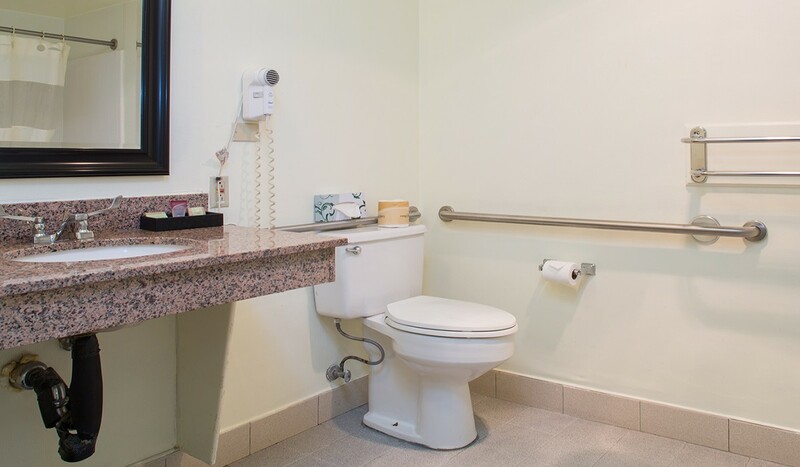 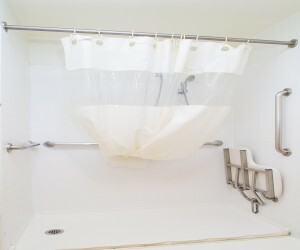 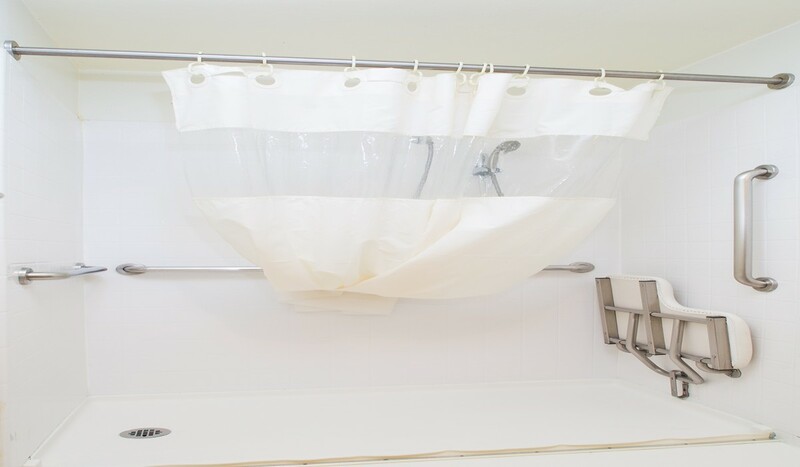 Additionally, the Accessible room also provides quests with a roll-in shower, safety bars, telephone with amplifier, closed captioned flat screen TV, and wide doorways. 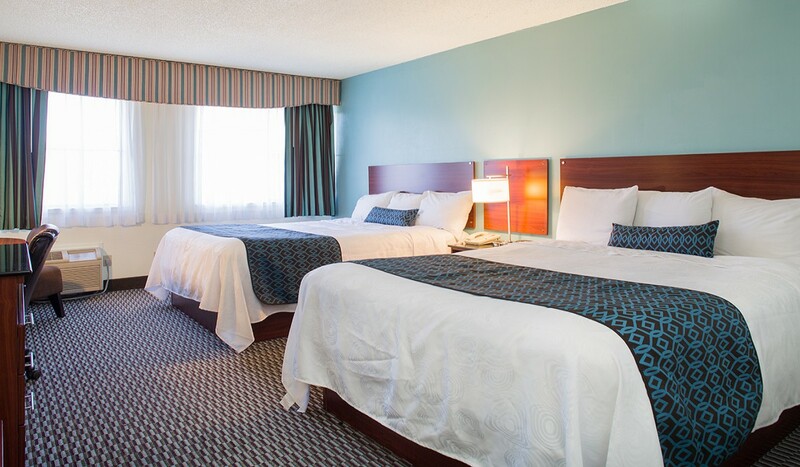 When you stay at this Berkeley hotel, you’ll enjoy a comfortable stay as well as be in close proximity to a number of Berkeley attractions including UC Berkeley, Berkeley Museum, Golden Gate Racetrack, Jelly Belly Factory, Oakland Zoo, and San Francisco. 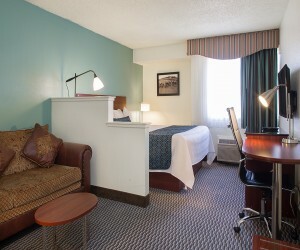 Please note that according to El Cerrito city ordinance, the Hotel Mira Vista is a 100% Non-Smoking hotel.